It is well known that money has now become a political tool for the use in politics. The Obama administration increased those getting welfare in the US. That is a formidable number of votes on your side if the opposition were to threaten to take that away. In the UK this week they are doing it a slightly different way. With the influx of a lot of immigrants, and the fact that we have people getting health care by taking a holiday in the UK when they get sick (we call it healthcare tourism) The current Prime Minister announces that health care will be increased by 3.8%. This overshadows the Opposition Party which is at 2% increase. In both (although different) types of inducements……. they are inducements!…… to every man woman and child that is at or about the poverty line, who will go where they are better off in their pockets. 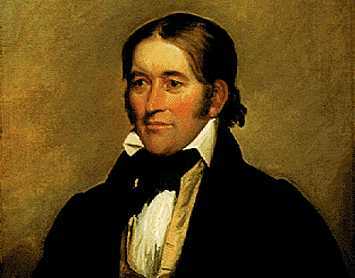 If you are over 50 you probably know of that frontiersman called Davy Crockett. If your over 60 you probably can sing the words to Davy Crockett. Killed at the battle of Alamo and permanently became known in history as one of the most honest statesmen ever, but probably less known for encounter with a farmer Named Bunce who changed his opinions fundamentally. This piece although a little long is well worth the read…. and a deep reminder of when some politicians actually had some pride and honesty about them. “Mr. Speaker, I have as much respect for the memory of the deceased, and as much sympathy for the sufferings of the living, as any man in this House. But we must not permit our respect for the dead or our sympathy for a part of the living to lead us into an act of injustice to the balance of the living. I will not go into an argument to prove that Congress has no power to appropriate this money as an act of charity. Every member upon this floor knows it. “We have the right, as individuals, to give away as much of our own money as we please in charity; but as members of Congress we have no right to so appropriate a dollar of the public money. Some eloquent appeals have been made to us upon the ground that it is a debt due the deceased. Mr. Speaker, the deceased lived long after the close of the war; he was in office to the day of his death, and I have never heard that the government was in arrears to him. He took his seat. Nobody replied. The bill was put upon its passage and, instead of passing unanimously, as was generally supposed and as, no doubt, it would but for that speech, it received but few votes and was lost. “Several years ago I was one evening standing on the steps of the Capitol with some other members of Congress, when our attention was attracted by a great light over in Georgetown. It was evidently a large fire. We jumped into a hack and drove over as fast as we could. In spite of all that could be done, many houses were burned and many families made homeless and, besides, some of them had lost all but the clothes they had on. “The weather was very cold and, when I saw so many women and children suffering, I felt that something ought to be done for them. The next morning a bill was introduced, appropriating $20,000 for their relief. We put aside all other business and rushed it through as soon as it could be done. “The next summer, when it began to be time to think about the election, I concluded I would take a scout around among the boys of my district. I had no opposition there but, as the election was some time off, I did not know what might turn up. When riding one day in a part of my district in which I was more of a stranger than in any other, I saw a man in a field plowing and coming toward the road. “I gauged my gait so that we should meet as he came to the fence. As he came up, I spoke to the man. He replied politely, but, as I thought, rather coldly. “This was a sockdolager… I begged him to tell me what was the matter. “‘Well, Colonel, it is hardly worthwhile to waste time or words upon it. I do not see how it can be mended, but you gave a vote last winter which shows that either you have not the capacity to understand the Constitution, or that you are wanting in the honesty and firmness to be guided by it. In either case, you are not the man to represent me. But I beg your pardon for expressing it in that way. I did not intend to avail myself of the privilege of the constituent to speak plainly to a candidate for the purpose of insulting or wounding you. I intend by it only to say that your understanding of the Constitution is very different from mine. “‘It is not the amount, Colonel, that I complain of; it is the principle. In the first place, the government ought to have in the treasury no more money than enough for its legitimate purposes. But that has nothing to do with the question. The power of collecting and disbursing money at pleasure is the most dangerous power that can be entrusted to man, particularly under our system of collecting revenue by a tariff, which reaches every man in the country, no matter how poor he may be, and the poorer he is the more he pays in proportion to his means. “‘What is worse, it presses upon him without his knowledge where the weight centers, for there is not a man in the United States who can ever guess how many thousands are worse off than he. If you had the right to give anything, the amount was simply a matter of discretion with you, and you had as much right to give $20,000,000 as $20,000. “‘If you have the right to give to one, you have the right to give to all; and, as the Constitution neither defines charity nor stipulates the amount, you are at liberty to give to any and everything which you may believe, or profess to believe, is a charity, and to any amount you may think proper. You will very easily perceive what a wide door this would open for fraud and corruption and favoritism, on the one hand, and for robbing the people on the other. “‘No, Colonel, Congress has no right to give charity. Individual members may give as much of their own money as they please, but they have no right to touch a dollar of the public money for that purpose. If twice as many houses had been burned in this county as in Georgetown, neither you nor any other member of Congress would have thought of appropriating a dollar for our relief. There are about two hundred and forty members of Congress. If they had shown their sympathy for the sufferers by contributing each one week’s pay, it would have made over $13,000. There are plenty of wealthy men in and around Washington who could have given $20,000 without depriving themselves of even a luxury of life. “‘The Congressmen chose to keep their own money which, if reports be true, some of them spend not very creditably; and the people of Washington, no doubt, applauded you for relieving them from the necessity of giving by giving what was not yours to give. The people have delegated to Congress, by the Constitution, the power to do certain things. To do these, it is authorized to collect and pay moneys, and for nothing else. Everything beyond this is stipulation, and a violation of the Constitution. “‘Well, my friend, you hit the nail upon the head when you said I had not sense enough to understand the Constitution. I intended to be guided by it, and thought I had studied it fully. I have heard many speeches in Congress about the powers of Congress, but what you have said here at your plow has got more hard, sound sense in it than all the fine speeches I ever heard. “‘Well, Mr. Bunce, I never saw you before, though you say you have seen me, but I know you very well. I am glad I have met you, and very proud that I may hope to have you for my friend. “It was one of the luckiest hits of my life that I met him. He mingled but little with the public, but was widely known for his remarkable intelligence and incorruptible integrity, and for a heart brimful and running over with kindness and benevolence, which showed themselves not only in words, but in act. He was the oracle of the whole country around him, and his fame had extended far beyond the circle of his immediate acquaintances. “Though I had never met him before, I had heard of him, and but for this meeting it is very likely I should have had opposition and been beaten. One thing is certain, no man could now stand up in that district under such a vote. “At the appointed time I was at his house, having told our conversation to every crowd I had met, and to every man I stayed all night with, and I found that it gave the people an interest and a confidence in me stronger than I had ever seen manifested before. “Though I was considerably fatigued when I reached his house, and under ordinary circumstances, should have gone early to bed, I kept him up until midnight, talking about the principles and affairs of government, and got more true knowledge of them than I had got all my life before. “I have known and seen much of him since, for I respect him – no, that is not the word – I reverence and love him more than any living man. I got to see him two or three times every year; and I will tell you, sir, if everyone who professes to be a Christian lived and acted and enjoyed it as he does, the religion of Christ would take the world by storm. “But to return to my story. The next morning we went to the barbecue and, to my surprise, found about a thousand men there. I met a good many whom I have not known before, and they and my friend introduced me around until I had got pretty well acquainted-at least, they all knew me. “‘And now, it remains for me to tell you that the most of the speech you have listened to with so much interest was simply a repetition of the arguments which your neighbor, Mr. Bunce, convinced me of my error. “He went down, and there went up from the crowd such a shout for Davy Crockett as his name never called forth before. “I am not much given to tears, but I was taken with a choking then and felt some drops rolling down my cheeks. I tell you, the remembrance of those few words spoken by such a man, and the honest, hearty shout they produced, is worth more to me than all the honors I have received and all the reputation I have made as a member of Congress. “Now, sir,” concluded Crockett, “you know why I made that speech yesterday.